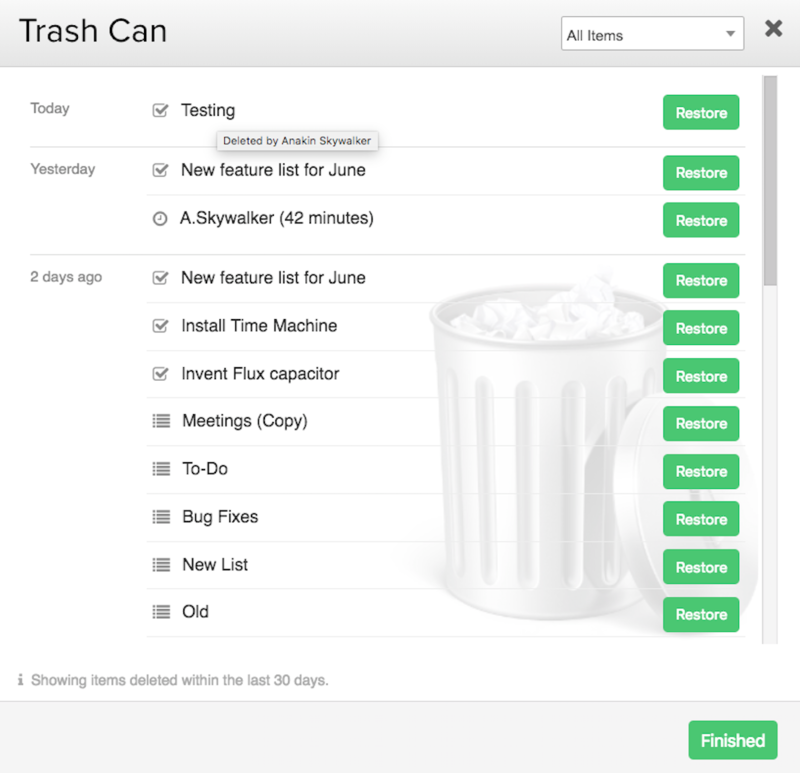 Within Teamwork Projects, when you delete a project item it is moved to the project trash can. Note: Deleted items are stored in the trash can for 30 days, before being permanently deleted. You can restore any deleted item within 30 days of when it was deleted. 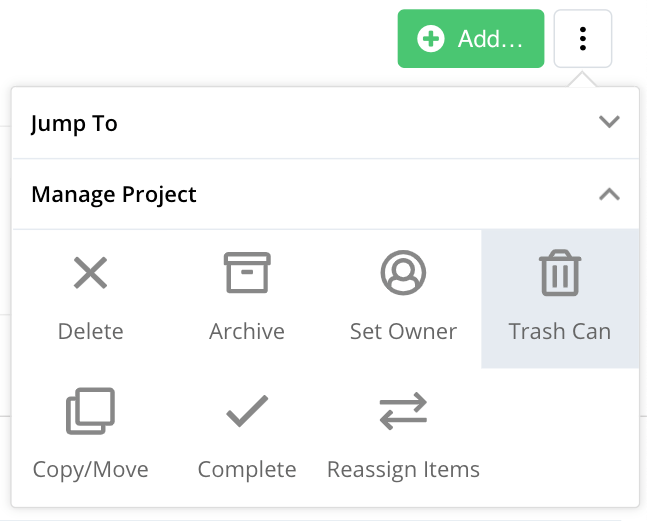 You will find the project trash can in the Overview tab of your individual project, under the options button (three dots) near the top right of the screen. You can hover over the name of each item in the trash can to see details of who deleted it. Note: You can only restore what you have permission to see. You can choose to only display certain project items that have been deleted by selecting the dropdown arrow of the trash can. Note: When restoring a task from the trash can, any comments that were made on that specific task will also be restored.